E-commerce marketing can be extremely complicated. There are many aspects that one has to consider in order to achieve am efficient marketing strategy. In this article we shall recommend a few basic strategies, which can help you be successful online. 1. Use a good shopping cart. There are three shopping carts that we recommend to clients. These are Shopify, Woocommerce, Bigcommerce. Woocommerce comes as a WordPress plug-in and is very easy to install. Shopify and Bigcommerce are complete packages, hosted online. All three of these carts are straightforward, and enable one to install many apps or plug-ins to improve overall functionality. These three carts are really good from a perspective of SEO, design, usability and paid search. 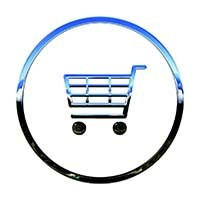 These carts have everything required to scale your business and also have a very reliable support system. Invest time into the design and SEO of your product pages. – Include keywords that customers search for in product tiles and product descriptions. Schema markup on product pages allow your product description and product images to show up in Search Engine search results. These results are refereed to as Product Rich Cards, and provide a significant advantage over competitors by making your products more visible in organic searches. Google provides a free tool to test schema markup. it is called Structured Data Testing Tool. This tool can help store owners improve schema markup on product pages. Optimise your product feed via Google Merchant Centre. Merchant Centre is a tool that helps you upload your store, brand and product data and make it available to Google Shopping and other Google services. The product feed is very important and store owners should include product details such as title, keywords and a brief description. This enables your products to show up in Google Shopping for paid ads. Google shopping is very popular. To ensure that your products show up in Google Shopping, you have to purchase Google Ads. These campaigns are based on your website visitors and Google paid for ads. As website visitors browse the internet, banners ads with the products they had visited on your website appear. This psychological trick, causes product to remain in the thoughts of the website visitor. Retargetting can also be run on Instagram and Facebook. Facebook and Instagram have an enormous reach. Facebook and Instagram tremendous sales channels. Optimization: Your ad will be optimized based on the objective you choose. For example, if you choose Send people to your website (Clicks to Website), your ad will be optimized to get you more clicks to your website. By running your ad on both the Facebook placements and the Instagram placement, your ad will be optimized to show on the placement that gets you the most clicks to your website at the lowest cost. Simplicity: It’s easy. Research shows that content that works well in Facebook News Feed generally performs well in Instagram Feed too. When you choose an objective that supports Instagram ads, the Instagram placement will automatically be selected for you. Tools are available to upload tweaked videos and images for Instagram and other placements; for example, if you want to use different aspect ratios. There’s also a crop feature for images. No Instagram account needed: If you don’t have an Instagram account for your business, you can still run ads on Instagram. All you need is a Facebook Page. Your Facebook Page will serve as the voice of your advertisement on Instagram. 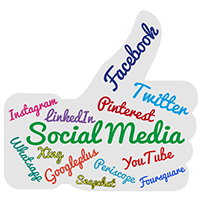 Organic social media is the use of the free services and tools that each social media platform provides. This includes posting status updates, links, videos, products and images for your audience. The purpose of organic social media is to build a community of loyal followers and customers through posting relevant content, and interacting with those who interact with your brand. If you want to show customers your true values and culture, while also learning about the values of your customers, organic social media marketing is the best way to do so. – Extends your organic reach. – Lowers the costs if you choose to pay to promote your posts. – Potentially turns your fans’ friends into followers. According to Hubspot, Marketing automation refers to the software that exists with the goal of automating marketing actions. Many marketing departments have to automate repetitive tasks such as emails, social media, and other website actions. The technology of marketing automation makes these tasks easier. Marketing Automation enables shop owners to nurture prospects with highly personalized, useful content that helps convert prospects to customers and turn customers into delighted customers. This type of marketing automation typically generates significant new revenue for companies, and provides an excellent return on the investment required. Email marketing automation enables store owners to re-market to previous customers. It’s cheaper to retain your current customers than it is to constantly acquire new customers. That’s why it’s so important to build customer loyalty and exceed expectations with every sale you make. Package inserts like discounts, samples and gifts with each shipped package can be a cost-effective and versatile medium for building a solid relationship with your customers. It’s these relationships that can help increase sales, average order size, and profit. Posted in Ecommerce, Marketing, SEO and tagged strategies, traffic.